Infirst Healthcare has today (27 April 2018) confirmed plans for a national TV campaign to support its new-generation, over-the-counter (OTC) ibuprofen, Flarin® 200mg soft capsules, following its UK launch in January. The TV ad, which features cartoon style–characters performing different everyday tasks, will run across peak and daytime TV from 7th May 2018. 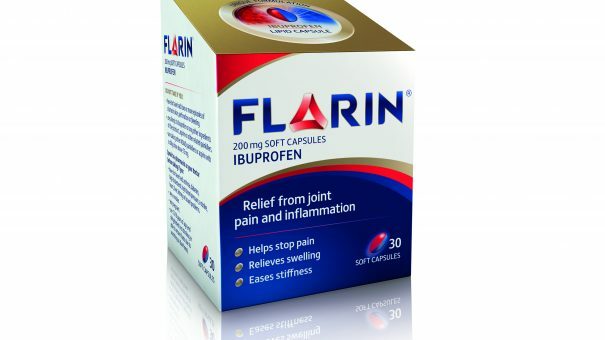 Flarin® is the first and only OTC lipid-formulated ibuprofen clinically proven to be as effective as prescription-strength ibuprofen – without a prescription.1 It is indicated for a wide range of conditions including the relief of rheumatic or muscular pain, back pain, and the pain of non-serious arthritic conditions, caused by swelling, stiffness and inflammation. The new ad will form part of a marketing campaign which includes TV and print advertising, PR, and promotion via social media channels. The ad represents the second phase of Flarin’s launch roll-out – and coincides with additional retail distribution now in Superdrug and nationwide independent pharmacies, following initial availability in Lloyds Pharmacy. London-based, full-service agency, Punktuate! was responsible for the campaign creative and production – with media buyers, Seven Stars, in charge of media planning. “Based on the results of the recent FLARE* clinical study, we now have evidence to support that Flarin® can be considered as a first-line OTC treatment option for people managing their own flaring joint pain,” says Philip Conaghan, Professor of Musculoskeletal Medicine, University of Leeds, and co-author of the study. Flarin® 200mg soft capsules is available in packs of 30 and retails at a RRP of £9.95 (equivalent of 33 pence per capsule). Pharmacies can stock Flarin® by contacting Powermed: admin@powermeduk.co.uk Tel: 01295 753549 It is also available from pharmacy wholesalers AAH, Enterprise and Alliance. Flarin® is a pharmacy-only medicine. Its active ingredient is 200mg of ibuprofen. Flarin® encases ibuprofen in lipids. This helps it to travel through the stomach and into the small intestine where the lipids are broken down, allowing the ibuprofen to be absorbed and transported around the body to the sites of pain and inflammation.6 Flarin’s patented lipid technology is based on a complex series of manufacturing processes which involves heating and dissolving specific pharmaceutical grade lipids, ibuprofen and other excipients together in a process lasting three days.